The Virtual Console for the 3DS will feature games from the Game Boy, Game Boy Color, Game Gear, and TurboGrafx-16. For the next couple of weeks I will be releasing my Top Ten Most Wanted games for these systems and others that may potentially make the 3DS Virtual Console. Whenever a game is part of a series, I will just put the series name and the game I’m most interested in seeing. I’m going to start with the Game Boy. 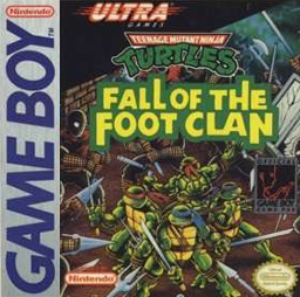 One of the first games I got for the game boy. 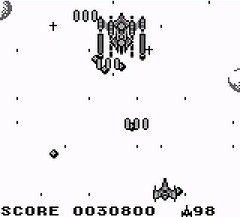 It had excellent music, great graphics, and tight control. It was challenging but not unfair, unlike many games of its time. 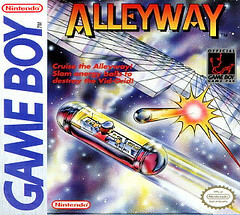 It was also one of the few shooters made by Nintendo. Trivia: The music for Level 1 was used in Captain N, The Game Master! It's heard at the beginning of "Trouble With Tetris", in a slightly altered form. 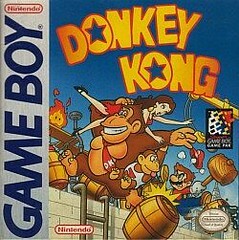 Another one of my first Game Boy games. I really enjoyed this breakout clone, even though I didn’t know it was a breakout clone at the time. I especially liked the Super Mario Bros. elements sprinkled throughout, such as Mario being the pilot of the ship and the Koopa themed level. Trivia: Besides Mario other characters from the Super Mario series make an appearance. While I’m generally not a racing game fan, Motocross Maniacs serves as an exception because it played more like a plataformer in which you control a bike. I loved the music and going through loops while using my nitro boosts. 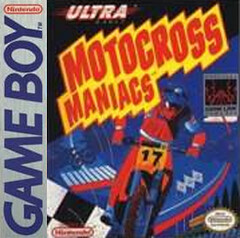 I think this Motocross Maniacs served as the inspiration for the XBOX game Trials HD, which feels like a spiritual successor of to this game. Trivia: Ultra Games was a spinoff company created in 1988 as a subsidiary of Konami of America, in an effort to get around Nintendo of America's strict licensing rules for the North American Konami release games for Nintendo consoles. One of these rules was that a third-party company could only publish up to five games per year for the Nintendo Entertainment System in the US. This was hardly convenient for Konami, which had begun releasing more than ten games a year for both the Family Computer and Family Computer Disk System in Japan. With a greater library than they were allowed to localize, Konami formed the Ultra Games brand to extend their annual library to ten games a year. 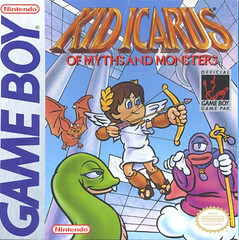 While I was a fan of the original Kid Icarus for the NES, I never played the Gameboy version. I have seen videos of the game on Youtube and I am looking forward to playing in an expanded playing field and what looks to be a better game than the original. It will also serve as a refresher before I play the 3DS sequel (remake?) of the franchise. 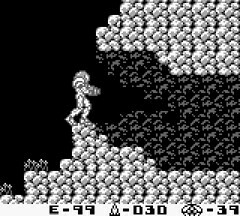 Trivia: Kid Icarus of Myths and Mosnters runs on the Metroid II: The Return of Samus’ engine. Pit’s laurel crown and blue eye color were added to his slightly more manga-inspired design in Of Myths and Monsters. Despite the game not being released in Japan, these changes were prominent to Pit's appearance in Super Smash Bros. Brawl. The "Kid Icarus" logo on the Game Boy title's front cover was also used in the stage selection of Super Smash Bros. Brawl, and a sticker of Pit's art from the game appears. My only experiences with Kirby have been from the Smash Bros. series and Kirby’s Epic Yarn. I have always wanted to play the original Gameboy games where Kirby got his start. 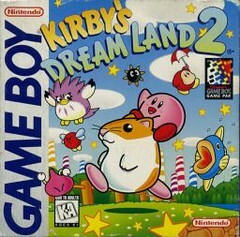 I’m especially looking forward to the second game, where Kirby first got to use his copy ability on a portable. Trivia: This was the first portable Kirby game to introduce the copy ability. This game was produced by Shigeru Miyamoto and Satoru Iwata. 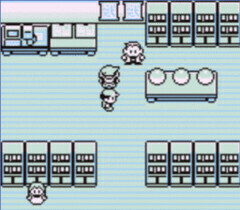 My first experience with Pokemon was with Blue and Yellow. However, I only reached the third badge on Yellow. This became a recurring thing for me. I only reached the third badge in each consecutive game and then stopped playing. It wasn’t until I bough Fire Red that I finally beat the whole game. After that, I finished Diamond and Soul Silver and am currently on my way to my third badge in Pokemon Black. I would love to play (and finish) the original games though. Especially if Nintendo is able to make the games link wirelessly and through Wi-Fi for battling and trading. 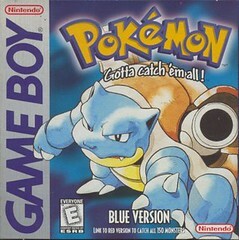 I am most looking forward to Pokemon Blue, which was the first Pokemon game I played. I intend to finish this game all the way through, once and for all. Trivia: In Red Version, the opening scene shows a Gengar and a Nidorino engaged in battle. In Blue Version, the Nidorino is replaced with a Jigglypuff. This change was not retained in FireRed and LeafGreen Versions, which both depict a Gengar and Nidorino squaring off. The American staff in charge of localizing the games tried to change the Pokémon designs, however, Tsunekaz Ishihara (President and CEO of the Pokemon Company, and producer) refused the proposal. 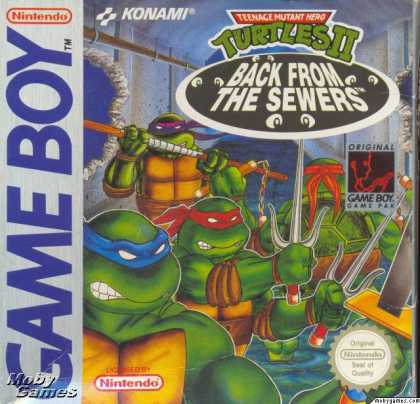 This was my first Gameboy game, as it probably was for most people. I was perplexed that Nintendo would decide to package the Gameboy with a launch game that was not Mario. That is, of course, until I played the game. I was immediately hooked. The graphics were nothing special, but the gameplay was something else. It was easy to learn, but difficult to master; and extremely addictive to boot. The music is also very memorable and catchy. Even though there have been many versions of the game throughout the years, the first one will always hold a special place for me. 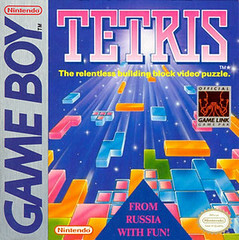 Trivia: Initially, Nintendo planned to package Super Mario Land with the Game Boy, but decided to package Tetris instead at the insistence of Henk Rogers, who convinced Nintendo of America head Minoru Arakawa that a Mario title would only sell the Game Boy to young boys instead of everyone. After a player exits pause mode (toggled using the start button), the background music continues with an added bassline which stops when the next phrase of the song begins. Nintendo has offered no explanation for this anomaly. The “Type A" music is based on the Russian folk song Korobeiniki which can be heard in the movie “The Deer Hunter”. I have finished Metroid Zero Mission, Super Metroid, and Metroid Fusion. However, I am ashamed to admit that I have never played this game in depth. I hope to remedy this as soon as Nintendo releases the game on the 3DS VC. 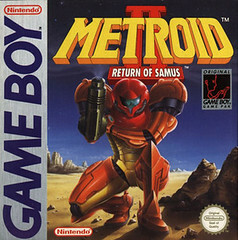 I also hope Nintendo remakes it, just like they did with the original Metroid. Trivia: There was going to be a Game Boy Color Version of the game, but it was cancelled. 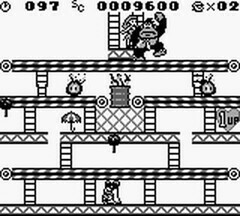 Donkey Kong is one of the most acclaimed games for the Gameboy. Even though I have played only the first few levels, I can certainly understand all the praise that the game has received. 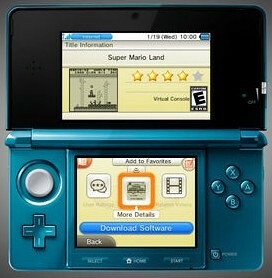 I hope this is one of the first games that will be released on the 3DS VC. 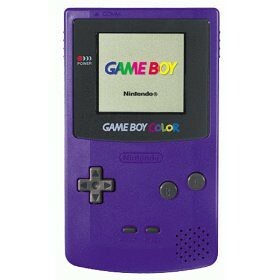 I also hope Nintendo is able to emulate the Super Gameboy color feature. I have only played the first two Super Mario Lands but I think they are amongst the best games for the system. I was expecting Nintendo to port black and white versions of their past Super Mario Bros. games. However, what we got was a trilogy of original games that feature some of the best gameplay available for the system. 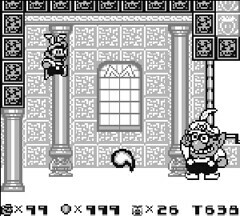 The second game, Six Golden Coins, also introduced an enduring new nemesis for Mario, who eventually took over the Super Mario Land franchise, starting with Super Mario Land 3: Wario Land. 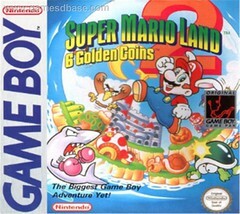 I am most looking forward to Super Mario Land 2: 6 Golden Coins, since it feels like more like a Mario game than the other two. 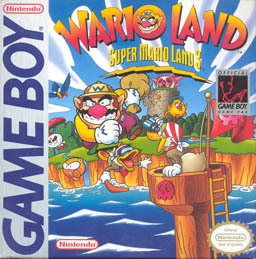 Trivia: Super Mario Land was the first Mario game developed without Shigeru Miyamoto. It was produced by Gunpe Yokoi, creator of the Game Boy. Honorable Mentions: TMNT Series, Game & Watch Gallery, Mega Man Series, and Castlevania Series. Tune in next week for my next Top Ten 3DS Virtual Console Wishist which will focus on Game Boy Color games. Pokedex for iOS $0.99/£0.69 for a limited time!!! Great idea for a top 10 list, while I owned both a Game Boy and Game Boy Colour my game experience was limited as both were bought abroad and came with one of those crappy 250 in 1 carts that kept crashing all the time. This is why the handheld VC is so appealing for me as my purchases will rarely be made due to nostalgia. Thanks for the list too, I will be referring back to this when the service launches. No Link's Awakening? For shame. Thanks. I already have all the systems, games, order of games picked out, and the reasons why. All I have to do is write them down in a coherent manner and organize the media. I was going to do a daily Top Ten , but then I decided that it would be best to do it as a weekly column. I think you may like my column next week. Hint, hint. I do actually own a number of those titles now on cartridge but very rarely ever get them out. I should put my Gold Triforce GBA to use more often. Doesn't matter. Should have had both. I don't care if it is cheating. link's awakening has already been announced remember. Having said that, I can't argue with your picks. The games you listed are all really good stuff. Very happy to see Motocross Maniacs on there! 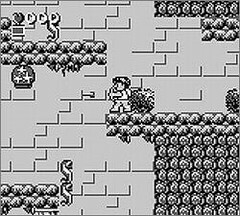 Link's Awakening DX includes both versions depending on whether you play it on the original Game Boy or the Game Boy Color. So technically, I am cheating in order to get one more slot on this list for something else. Yes. I'm just listing of the titles I'm interested in, regardless of whether they have been announced or not. That's why Super Mario Land is in there too. Having said that, I may do a yearly update to these columns where I take out all the titles that have been released and add new ones that didn't make the list the first time. @GameDadGrant Though they didn't make it to this list, some of the franchises you listed will appear in future lists. By the way, Wario Land is in this list. It's number 1 along with Super Mario Land 1 and 2. I listed them all but I highlighted the one I'm most interested in. In future columns, I will also use this method of listing the entire series (because I want them all) but highlighting the one I am most interested in of that series. To tell you the truth, I can't wait to write the future articles. It was fun writing this one and I can't wait to show you my other picks. I'm also very pleased at how professional the Top Ten List format looks on the site and how easy it is to use. Kudos to whomever programmed this. I picked up the cart of SML2 a couple years ago, and it was pretty underwhelming. I really want to play DK 94. I'd like to try Donkey Kong ('94?) sometime. It does get a ton of praise. Wouldn't mind trying Metroid II either, although I tried to go back to the original NES Metroid and it was tough. I got pretty far, put it down for a few weeks, came back and was completely lost. Never picked it up since. You haven't played Donkey Kong '94? This just made my day . You and @Zero need to make a deal. He'll play Donkey Kong '94 if you play any Pilotwings. Excellent list. I love the details you included for each game, including all the videos you selected! 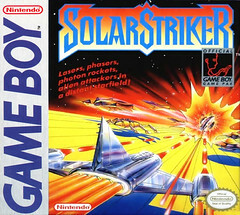 I had the old brick Game Boy back in the day, and at first I did not remember the name Solar Striker, but after watching the video I know I did play it as a kid. Now I can add it to my Wanted List! I added some of these games to the NW game database so you guys can add them to your wanted list as well. Correction the first Pilotwings. Everyone should play the first and its on the VC so its easily accessible. That Donkey Kong game was one of THE BEST games I've ever played. So much so that all the sequels disappointed me greatly. Does...that boxart say Teenage Mutant Hero Turtles? We got Hero in the UK because Ninja was deemed too violent. They also cut out a great deal of Nunchuck usage here. Looks like it. I just grabbed the first box art I saw on Google Images. Didn't really study them too close. I bought DK94 on eBay and played it on the GCN (GB Player) for the first time a few months ago. It is awesome--definitely a top 10 GB game. Just one third party game? Tsk tsk. Good pick, though. That said, a whole lot of the third party games I owned were rubbish. Who wants Mortal Kombat 2 on the virtual Game Boy? Nobody! 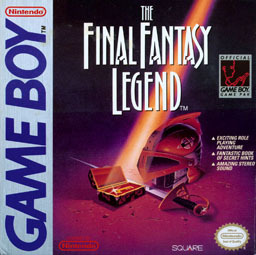 But the Final Fantasy Legend/Adventure games, Gargoyle's Quest, Mega Man V all would get a spot on my list. I'm trying to think of games that I've never played and that I've always wanted to, but can't think of any... that said, I sure hope we get lots of hidden gems on the service. That's my favorite thing about the VC: not rebuying the same game for the Nth time, but discovering new-to-me old stuff. Oh yeah, good call on Gargoyle's Quest. Forgot about that one. I never got to play it, so I'd like to see that one pop up on the Virtual Handheld. I'd also like to see Kwirk show up, but I have no idea who owns the rights to that game anymore. It was published by Acclaim, a company that has pretty much been dead for a while now. Anyone else play this one? I think it'd be a good choice for the Virtual Handheld - the puzzle-heavy adventure would fit perfectly with the Brain Age/Professor Layton crowd Nintendo has nurtured on DS.